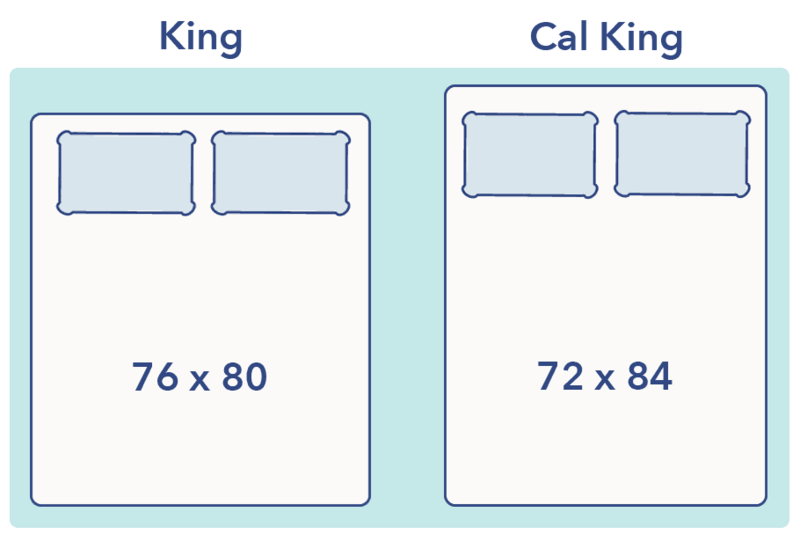 One of the most common questions and misnomers I hear when discussing mattresses with my readers is regarding the sizing of California King vs. King sized mattresses. Most people tend to think that California King mattresses are larger than King. However, this is not true. While a California King is slightly longer than a standard king mattress (also known as an “Eastern King”) it has less total surface area. A California King is 72″ wide and 84″ long. It has a total surface area of 6,048 square inches. A standard King sized mattress is 76″ wide and 80″ long. It has a total surface area of 6,080 square inches. Below is a quick comparison of the California King vs. King mattress. Other Names "Western King" "Eastern King"
Should I buy a California King or King mattress? There are many factors to consider when deciding on whether you should purchase a California King or standard King sized mattress. Room Dimension – ideally, you want at least 2 feet of space on all 3 sides of your mattress. This will provide enough room to walk and maneuver around the mattress. Additionally, aesthetically this will provide enough space to look like it belongs in the room and is not overly crowding out other furnishings or the space in general. If you have a narrower room you may lean more towards the leaner profile of the Cal King. Likewise, if your room is a bit wider the standard “Eastern” King sized mattress may be appropriate given its width. Costs – while the California King size has grown in popularity, it’s still significantly rarer than the standard King. As a result, searching for box springs, bed frames, sheets, mattress protectors, and virtually every other accessory is not only more difficult, but it can be more expensive. There simply are not as many options available in terms of bedroom accessories for California King mattresses as their are for standard Kings. If you are on a tighter budget, it would be more prudent to opt for the King mattress as you’ll have a much easier time shopping for your accessories. Your Height – if you’re over 6 feet tall the California King may be a great option. The extra length will give you a little more space from head-to-toe. That said, this really is a personal preference. I am 6’1″ and I love to sleep with my feet hanging off the bed. For me, the additional length on the California King isn’t worth it. However, you may find you love the extra length if you are taller than average. Your Partner – if you sleep with a partner your preferences as a couple may also determine whether the California King or King is the better option. As the Cal King is a bit narrower it is more ideal if you tend to sleeper closer to or touching your partner. 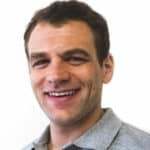 In the same vein, if you prefer your space during your sleep the standard King, which is a little bit wider, is most likely the best option for you. I bought a bed frame a restoration hardware outlet store. They advertised it as a Cali king. I just assembled it and need to know if I should buy a regular king mattress or Cali king mattress. I put my queen mattress onto the assembled bed to get an idea if I need to buy king or Cali king and I fount that the queen mattress measures 58”W x 79” L. The frame is approximately 72”W x 84”L. Does that mean it is in fact I need to buy a Cali king mattress?